It stems to reason that most people would prefer to investigate their health concerns online before visiting a Physician. Studies indicate that these same people report that what they find online influences their treatment decisions. What’s clear that today’s patients are becoming better informed and more web savvy; increasingly seeking services that allow them to take an active role in managing their health. As the healthcare industry shifts its focus to Electronic Medical (Health) Records, many forward thinking practices are asking vendors about “Patient Portals.” A portal can be thought of as a gateway or door (in the form of a web interface) to related sets of data, content, and web services. Some well known portals include Google (www.google.com), MSN (www.msn.com) and Yahoo (www.yahoo.com) search sites. A Patient Portal extends Patients the power to customize their own HealthCare experience and communicate easily, safely and securely over the Internet with Clinical stakeholders. Providers grant patients access (with a secure username and password) to information through a web connection. Patient Portals even integrate with legacy Clinical, Financial, and EHR systems and is completely scalable, evolving with your organization. Providers can better communicate with their own patients. The attending Physician doctor can easily communicate with patients’ other attending physicians without the potential delay of traditional mail or phone messages. Data is exchanged in a PIPEDA (Personal Information Protection and Electronic Documents Act) /HIPAA (Health Insurance Portability and Accountability Act) (www.hipaa.org) compliant and secure fashion. As exponentially more and more physicians adopt Electronic Health Medical Records they begin to realize the potential benefits of a Patient Portal. All too often doctors spend time with patients discussing symptoms, illnesses, and providing medical advice for which they routinely do not bill for. Why? 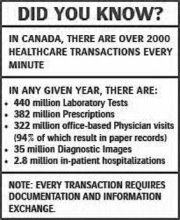 Perhaps a fast paced office with a waiting room of patients and falling behind in the day’s schedule; too many things to remember beyond the “Chief Complaint.” This may be only one potential reason for under coding and subsequent under billing that many doctors say is routine. The doctor’s note in it’s entirety and the professional manner in which it is ultimately written, documented and adhered to, is the prize. The patient can log on to a HIPAA/ PIPEDA compliant and secure web site and complete much of their pertinent information on-line prior to their in-person visit. The patient’s data is encrypted. The practice can be sure that HIPAA/PIPEDA standards are being met. Once a Hospital or Physician’s practice has made the conversion from traditional paper charting to the EMR/EHR world, it becomes much easier to add a Patient Portal. The one simple truth however, related to eHealth Portals, is that if the underlying disparate clinical data cannot be accessed and consolidated, an eHealth platform cannot be extended to the patient. An example of a Patient Portal Vendor that both accesses and consolidates underlying disparate clinical data to extend a customized experience back to the Patient is Medseek. The Hospital/Practice is the ultimate authority regarding how much data is conveyed to the patient. The patient does not have access to the doctor’s records at any time. The patient only sees what the doctor wants them to see. The physician note remains protected. The office staff enjoys the benefits of the patient portal too. The days of sending the patient a registration packet and hoping it’s complete before the office visit are gone forever. Staff no longer has to wait while the patient fills in all the necessary information. The patient fills out the paper work in the luxury of their own home. For patients that do not have access to an internet-enabled computer, a touch screen kiosk can be set up in the lobby away from wandering eyes. New functionality is being added to patient portals. Some EMR/EHR vendors that support Patient Portal even have multilingual versions with automatic translation built in. Through a quality Patient Portal, the capability exists for test results to be viewed by the patient. Note: This is not to be confused with the newest health care product release by Microsoft: the Microsoft Health Vault (Announced October 5, 2007). This product allows an individual a Personal (self-regulated) Health Record (PHR) to store their own person health documents in a secure online vault. A web presence is important. 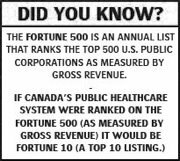 A Hospital or Physician practice is a business. Like most businesses, a quality web site becomes your “store front” to a prospective patient. Acceptance of technology in healthcare is a growing trend. Many practices post educational information on their practice web site as a service to their patients. This information does not replace a doctor’s care but serves as a valuable resource to the patient. Consumers are demanding automation and web services in all facets of daily life. The health care practitioner needs to provide these types of services to remain competitive in today’s health care market. So, whether the ultimate goal is enhance the patient experience, build or strengthen community, enhance staff loyalty and retention, or improve clinical decisions and outcomes---Patient Portal's bridge the gap between Caregivers and Patients— before, during, and after the hospital stay.